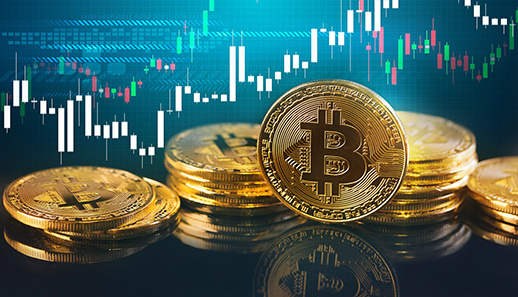 The Australian Transaction Reports and Analysis Centre (AUSTRAC) provides a guide for digital currency exchange service businesses to develop an AML/CTF program, in order to mitigate the associated money laundering and terrorism financing (ML/TF) risks. We explore the key steps identified by AUSTRAC in developing an effective AML/CTF program for digital currency exchanges. g. does the business buy/sell/exchange/hold digital currency? Which digital currencies are offered for exchange? Does the business purchase digital currencies from reliable sources? Are transactions conducted using cash? Once the AML/CTF program is adopted and approved by the board, executives and/or senior management, a procedure needs to be put in place to ensure ongoing review of the program. In addition to being reviewed internally, the program must also be subject to regular independent review. An AML/CTF compliance officer should be appointed (someone at management level), as well as a backup person who will assume their role when absent. AUSTRAC may provide feedback to the business about its AML/CTF obligations and in some instances, a response will be requested. Procedures need to be established to ensure that responses are sent in a timely manner. The digital currency exchange service business needs to provide AUSTRAC with reports about suspicious matters, threshold transactions and compliance with AML/CTF obligations. A threshold transaction report (TTR) needs to be submitted for transactions over $10,000. The timeframe is 10 business days after the customer is provided with the digital currency exchange service. A compliance report needs to be submitted to AUSTRAC to demonstrate that AML/CTF obligations are being met. It should be identified who within the business will be responsible for submitting this report, and how it will be ensured that due dates are complied with. Business enrolment and registration details with AUSTRAC need to be maintained, and the business’ registration needs to be renewed every three years. Controls need to be established to determine whether under any circumstances the business will need to update, verify and/or re-verify customer details. For example, if the customer is suspected of being involved in suspicious activity. An enhanced customer due diligence program sets out procedures for situations where there is a high ML/TF risk, when a suspicious matter reporting obligation arises, or where the customer is a foreign PEP. Retain a copy of their AML/CTF program (and record of the adoption of the program) for seven years after the program ceases to have effect. If the AML/CTF program is modified, a copy of the old program must be kept for seven years from the date it is superseded by the new program. The steps covered in this article form Part A of AUSTRAC’s guidelines to developing an AML/CTF program for digital currency exchange service businesses. Explore the steps involved in Part B: Procedures for collecting and verifying ‘know your customer’ (KYC) information.